Brown: Job injuries can happen anywhere. Moore: And when they do, it can land you here. Brown: If you were injured while working on company time or equipment, you’re likely entitled to workers’ comp money. Moore: That’s any injury, including back and neck injury. Were you told you don’t get worker’s comp? Brown: Don’t believe it, the law will prevail. Moore: Often, there’s more money they don’t tell you about. Brown: Injury at the office, job site or while driving? Moore: Call the good guys. 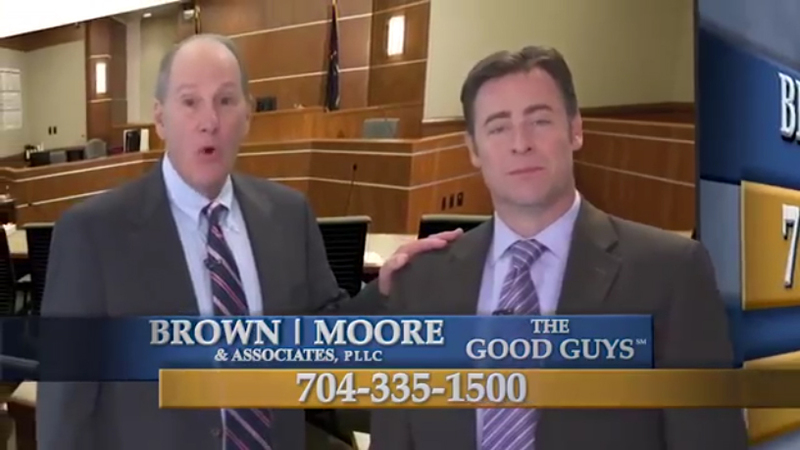 We’re attorneys Brown and Moore. Brown: We know workers’ comp.